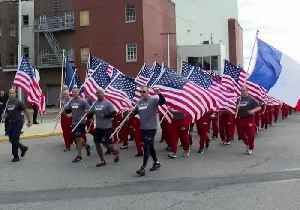 New York probationary firefighters carried both US and French flags on April 17 during their final “Spirit Run” before graduating, paying tribute to the firefighters who battled the blaze..
French firefighters filmed their eight-hour battle against the flames engulfing Notre-Dame Cathedral. 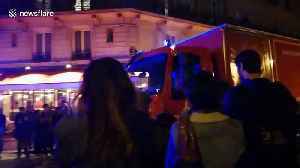 A firefighter was seriously injured Report by Avagninag. 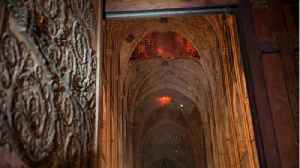 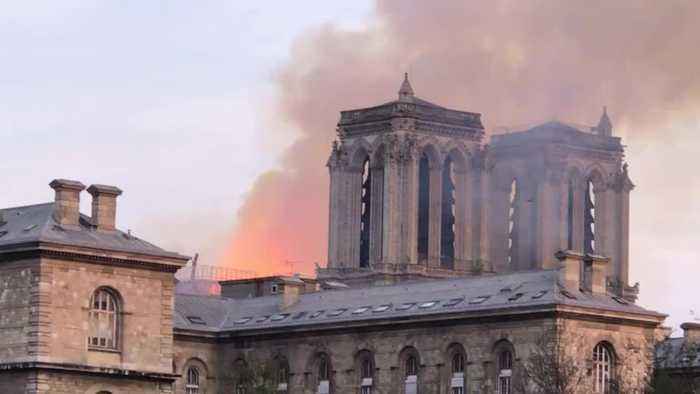 Like us on Facebook at..
A massive fire consumed Notre-Dame Cathedral on Monday, gutting and destroying the roof. 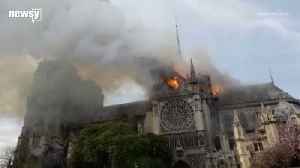 But firefighters said they had saved the shell of the stone structure from collapse. 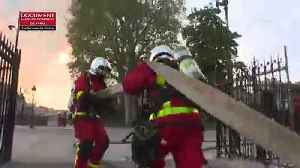 Firefighters battled hard..
People applaud Paris' firefighters in their trucks for the work they did to stop the fire that ravaged Notre-Dame Cathedral on Monday evening (April 15). 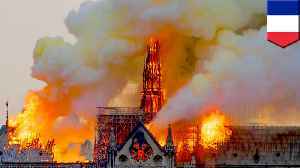 The flames that began in the early evening..
Reuters reports Notre-Dame Cathedral went up in flames on Monday in a roaring blaze. 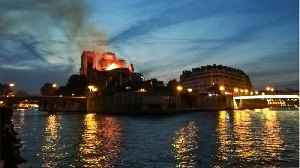 The fire devastated the Parisian landmark and is a searing loss for the city as well as for France. 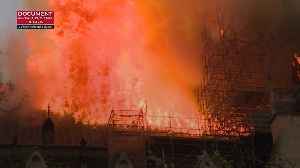 Around 6:50 p..